While every reasonable effort is made to ensure the accuracy of this information, we are not responsible for any errors or omissions contained on these pages. Please verify any information in question with a Sunridge Mazda sales representative.Information being displayed may not match the exact vehicle being displayed.. Welcome to Sunridge Mazda, your number one Mazda dealership in Calgary, Alberta. 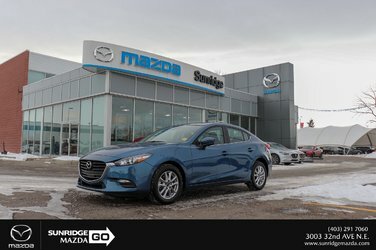 At Sunridge Mazda, the satisfaction of our clients, the quality of our vehicles, the value provided by our special offers, and the professionalism of our teams all come together to provide a unique dealership experience. We work with our clients as partners and treat everyone that walks through our doors as though they’re a part of our family. We work hard to ensure your satisfaction and aim to go above and beyond your expectations. At Sunridge Mazda, you will be impressed by the quality of the service you receive, knowledge of our team, and the services we offer. 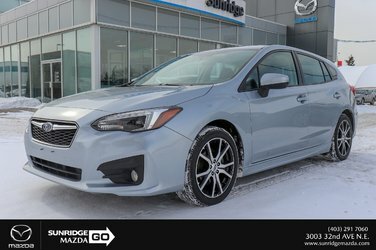 Looking for a new Mazda or a pre-owned vehicle in Calgary? Come to Sunridge Mazda today. We will be more than happy to help you find the perfect new car or SUV for your needs. Sunridge Mazda has a complete inventory of new Mazda vehicles that are prepped and ready to go. At Sunridge Mazda, we provide our clients with a relaxed and enjoyable buying experience. You’ll get the service you deserve and the expertise you seek, as well as the new Mazda vehicle that’s perfectly tailored to your needs. Come to Sunridge Mazda and find the perfect new Mazda vehicle for your family and lifestyle. 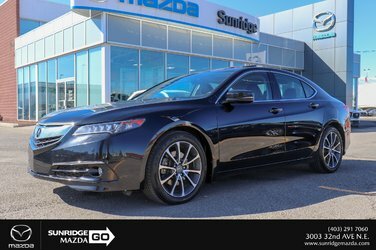 We have a complete collection of brand new Mazda sedans, hatchbacks, and sport utility vehicles waiting for you at Sunridge Mazda. Let’s take a closer look at everything we have in stock and waiting for you. 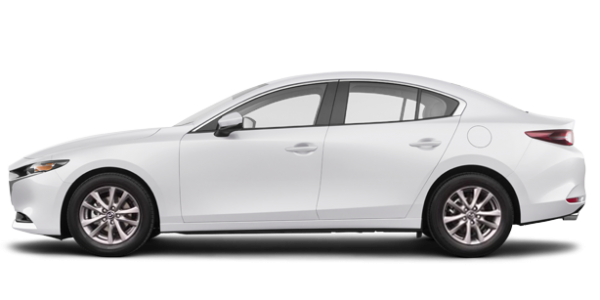 The Mazda3 has been completely redesigned and now features some of the most advanced engines in the world alongside an optional all-wheel drive, which is capable of taking on Calgary winters. The new Mazda3 also features Mazda’s new SKYACTIV-X engine along with two other SKYACTIV-G engines, G-Vectoring Control, and more. Come in today and learn more about the new Mazda3 sedan as well as the Mazda3 Sport hatchback. Sunridge Mazda is also your number one destination for the purchase of a new Mazda6 midsize sedan or a new Mazda MX-5 roadster or RF hardtop. The new Mazda MX-5 will blow your mind with its added power and head-turning design. 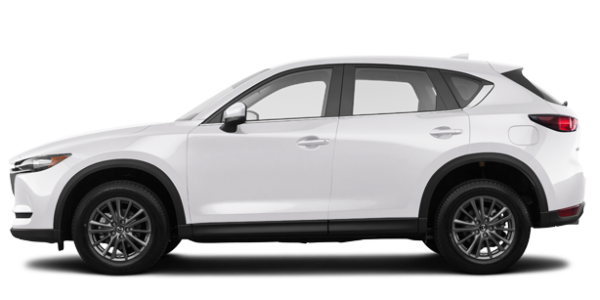 Sunridge Mazda is the place to go if you’re looking for a new Mazda CX-5. We have a complete inventory of new CX-5 models in every trim including GS, GT, and the top-of-the-line Signature trim. The new CX-5 features impressive technology that includes i-ACTIVESENSE safety, G-Vectoring Control, and a new turbocharged 2.5-litre engine. There’s also more than 1,500 litres of total cargo space. If you don’t want that much room but are still looking for a fuel-efficient sport utility vehicle that’s perfect for the urban jungle that is Calgary, check out the brand new Mazda CX-3 today at Sunridge Mazda. Sunridge Mazda also has a complete inventory of new Mazda CX-9 midsize SUVs to offer clients. The Mazda CX-9 is one of the most impressive utility vehicles in its segment. With three rows of seats, the latest connectivity technologies like Apple CarPlay and Android Auto, and advanced safety features, the CX-9 is the perfect SUV for a growing family. 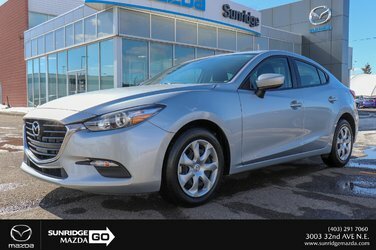 Sunridge Mazda offers its clients a complete inventory of high-quality certified pre-owned vehicles at the best prices. Certified pre-owned vehicles come with a complete 160-point inspection, a host of extended warranty options, and other advantages such as roadside assistance. For a quality pre-owned vehicle that will never let you down, you can trust Sunridge Mazda. Come in today and find the perfect new or pre-owned Mazda for your needs.